Happiness burns hot and fast, but joy’s embers burn long. Relationships bring both happiness and joy with fun, caring, empathy and trust. We can be vulnerable with those we call our closest friends. We help each other, listen, and support. Deep relationships bring joy even in the worst of life’s moments. This life was meant to be lived in community and this is true even for introverts. It’s not about the quantity of social connections we have, it really is about the quality. 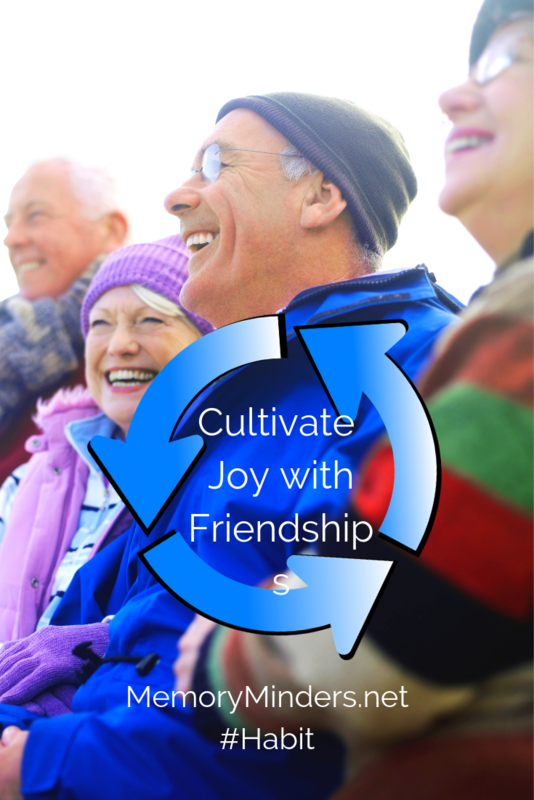 Close and meaningful relationships can bring joy only if we maintain them. How can you connect and cultivate your relationships with friends and family this week? Try making a goal like I did or simply pick up the phone and call someone. Do it right now, you and your memory will always remember the joy it will bring.